The National News Agency (NNA) reported that Antoine Choueiri, 69, a prominent Lebanese businessman and media tycoon, died on Tuesday after a long battle with an undisclosed illness. Choueiri was admitted to an intensive care unit at Hotel Dieu Hospital in Ashrafieh almost twenty days ago. 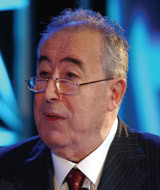 Choueiri dominated the media landscape in the Middle East as a representative of some of the major names in the local industry, including Lebanon’s LBC Sat, the Al Jazeera network, the daily newspaper Al Hayat based in London, the UAE’s Dubai Media Inc and Lebanese publications Al Nahar and Al Safir. With over 38 years of experience in the regional media industry, Choueiri was responsible for managing ad sales for some of the largest broadcasters in the region such as LBC, MBC and Dubai TV. His prevailing influence in the world of television prompted the formation of the GCC Association of Advertisers 4 years ago. Members of the GCC Association of Advertisers include Emirates Airlines, Unilever and McDonalds. All of the members are said to spend over US 100 million a year on advertising in the region. The Choueiri Group is a privately held company initially formed by Antoine Choueiri in Paris after civil war erupted in Lebanon in the 1970’s. The first regional firm launched by the Choueiri Group was in Saudi Arabia, where Antoine Choueiri built on his reputation and his expertise until he was ready to launch in Lebanon and the UAE, in what has become the most expansive media network in the region.